Starting today, you can fine-tune your sales processes and correct minor missteps that can help you earn--and keep--more profits from the season. 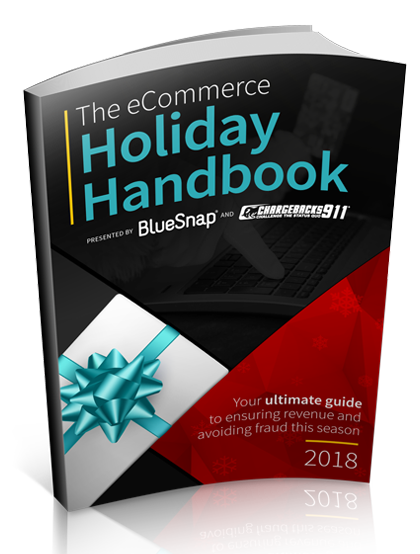 Chargebacks911® and BlueSnap® partnered to create this informative guide full of explanations and actionable advice... and you can download it for free. The holiday sales season is fast approaching, and retailers have cause to be excited: early estimates point to a robust quarter, with retail sales that could top $1.10 trillion. Forecasters are looking at growth between 5% and 5.6% over the prior season. All signs point to a potentially record-breaking season for retailers, and the busiest period should still fall on the Black Friday Weekend. Some predictors are suggesting that the 9-day period starting Thanksgiving Day (November 22) and closing the following Saturday (December 1) will account for over 35% of total seasonal sales in the US. eCommerce will be playing a huge role in this growth, with a predicted expansion of over 15% in the 2018 holiday season, and totally nearly $125 billion.